5 blindingly bright colors, known as ChromaSilk NEONS, contain a special dye pigment that actually allows them to glow under black-light! PRAVANA’S AWARD-WINNING CHROMASILK VIVIDS COLLECTION IS THE CREATIVE-COLOR CATEGORY LEADER. 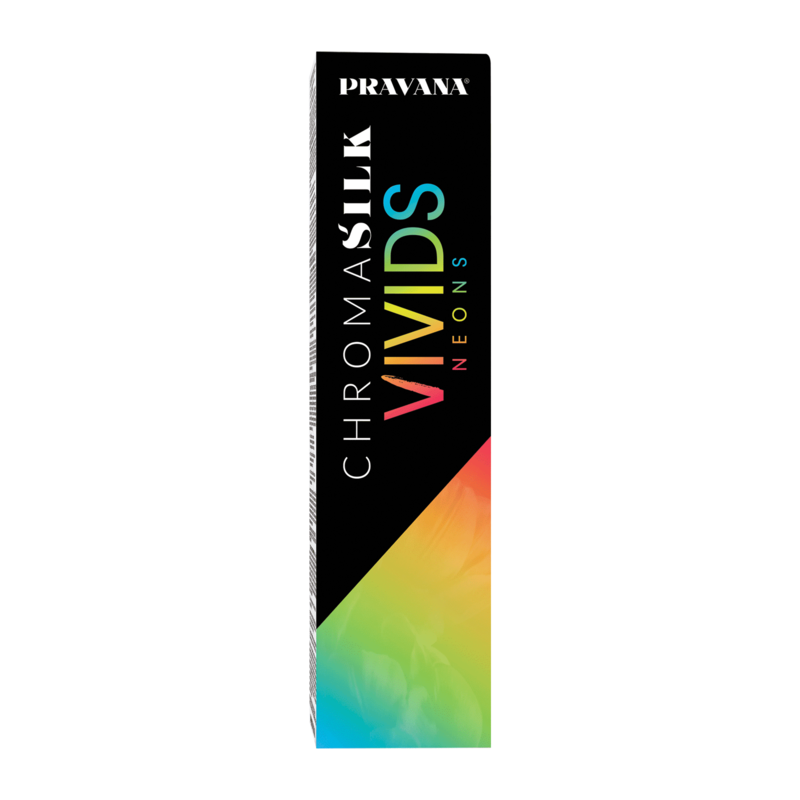 ChromaSilk VIVIDS are professionals’ and celebrity colorists’ choice for vibrant, creative colors. Winning the Stylist Choice Award for Favorite Creative Color for the 4th year in a row, it is clear that ChromaSilk VIVIDS is best, creative color with the longest-lasting, bright hair colors. After pre-lightening, thoroughly shampoo with any PRAVANA Sulfate-Free Shampoo. Dry hair completely and apply VIVIDS color with a bowl/brush technique. Process for 20-30 minutes at room temperature. Once the processing is complete, thoroughly rinse with cool water until water runs clear. Lightly shampoo with VIVIDS Color Protect Shampoo. Apply VIVIDS Color Protect Conditioner and rinse. Style as desired.